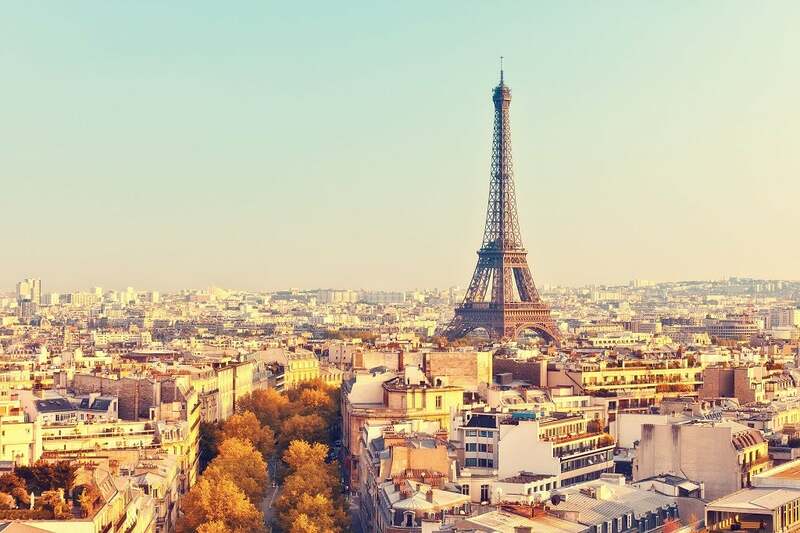 With an abundance of art and culture, lovely landscapes, affordable education and healthcare, a high quality of life and world-famous cuisine, it’s no surprise that many Americans have decided to make the move to France. Life in France is sweeter. The French enjoy over a month of paid vacation every year, they work fewer hours and have one of the highest quality health care systems on earth. On average the French live longer than Americans – which could be due to the lower stress levels. Instead of getting caught up in the rat race to achieve the “American Dream,” in France you can enjoy good food and wine with friends, work less and savour the moment. Plus, with great schools and healthcare it’s a great place to raise a family. Paris and New York are the obvious comparison – both huge centers of finance, shopping and business. They also both have rich literary, artistic and cinematic history – many creative minds have immortalized both Paris and New York in the written word, in their art and on the screen over the years. However, head south to the French Riviera and the sun-soaked beaches of Nice might remind you of California or Florida. There are a few different ways that you can become a French citizen, including by family descent, by naturalization or by marriage. If one or both of your parents are French citizens you have the right to apply for French citizenship. You can also apply for naturalization if you have lived in France for at least 5 years. This can be reduced to two years if you have successfully completed two years at a French university. Before you apply for naturalization you will need to show that you have integrated into French society and have sufficient French language skills – which usually means a certificate from a French language institution. You will need to hand in the necessary documents to the French consulate or the local prefecture. It can be challenging to find a job when you first arrive in France, because most people hire people they already know. If you are fluent in French this will help your job search significantly, as well as improve your networking ability. If you don’t speak French it’s not impossible – many expats have established their own small business such as a hotel or bar, or work remotely as freelancers. The industries that are thriving at the moment in France include tourism, heavy industries and the financial industry. The average rent of a one bedroom apartment in a city centre in France would be $725 per month, compared to an average of $1,184 in the US. So, renting in France is likely to be cheaper. Of course, this depends on your location – an apartment in the center of Paris will be more expensive than an apartment in a small town in the USA. The average price of buying a house in France is higher than in the USA, as prices have risen lately. However, when you look at this in the context of the average income of both countries, things start to even out. Prices will always be at a premium in Paris, so living elsewhere in the country will help if you are on a tight budget. The French education system is one of the best in the world and it is divided into primary, secondary and higher education. Schooling is mandatory from age 6 but many French children attend nursery school from the age of 3. Compulsory education finishes at age 15 or 16 after which students can go to a college or to vocational training. The quality of education in French colleges and universities is very high and therefore so is the competition. In French universities there isn’t as much of a focus on sports teams, sororities and fraternities and clubs and societies as there is in the USA. France is incredibly rich in culture and it has been home to some of the greatest minds in literature, art, philosophy, music and architecture. The Muse du Louvre is the major famous museum – the largest and most visited in the world. The Palace of Versailles is also worth visiting – a sprawling royal estate filled with period furniture and decor and surrounded by elegantly landscaped gardens. Other noteworthy museums in France include the Centre Pompidou (modern art), the Musée d’Orsay, the Musée de l’Armée, the Musée National Auguste-Rodin and many more. French cuisine is known throughout the world for being superb in quality. Each region has a number of distinctive dishes which feature the resources of the region (game, locally grown vegetables, etc.) For example, Cassoulet in the South West, Quiche Lorraine from the Lorraine Region, Fondue from the French Alps, Ratatouille from Provence, etc. Finding a good restaurant can be tricky though, plenty of touristy eateries serve an overpriced poor imitation of French fare. Ask locals or browse reviews to find the best restaurants in your area, simply walking into a restaurant can be hit or miss. When dining outside of Paris, the price will be lower, the food will be more authentic and your meal will often include a fourth course – which is usually cheese. The French love to party and savour the joie de vivre, so you’ll enjoy the nightlife of this fun-loving country immensely. Nightclubs, bars and pubs are found in all towns and cities, with a great selection in the large cities such as Paris and Lyon. Most nightclubs are open until 5am. There will usually be a local culture and nightlife publication that lists the upcoming events. The largest collection of gay bars can be found in Paris, with plenty of thriving LGBT nightclubs and bars. Other great cities with gay-friendly nightlife include Nice, Montpellier and Bordeaux. The Gay Pride Festival takes place over January and February in Paris.